You do not create documents within the OnPolicy environment. Instead, you create documents using a word processing application (Microsoft Word, Adobe Professional, etc.) and upload them to OnPolicy. 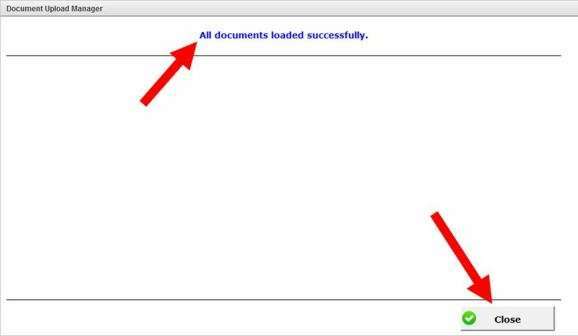 You can load a document from either the Home Screen (figure 1) or from the Documents Tab. 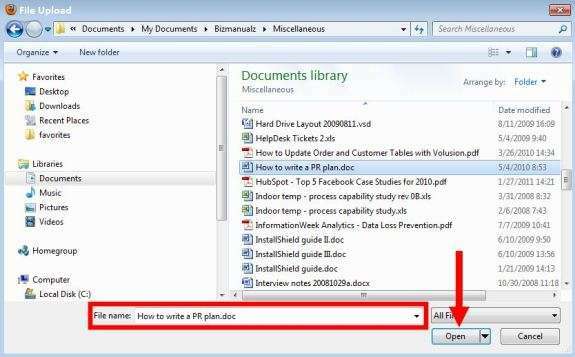 To begin loading a document, click on the Document tab in the Editor Module, then click on the Add New Document button (figure 1). 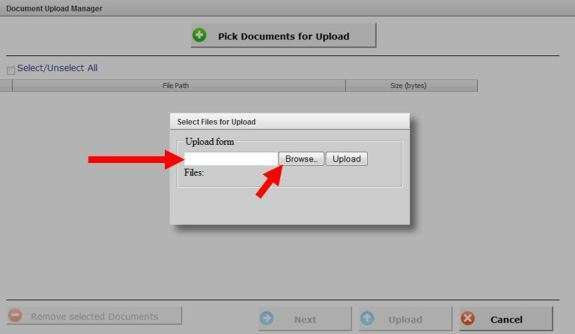 When you click on “Add New Document”, a Document Upload Manager box appears on your screen (figure 2).You have two options: Pick Document for Upload and Pick Multiple Documents for Upload To pick a single document, Click on the “Pick Documents for Upload” button. 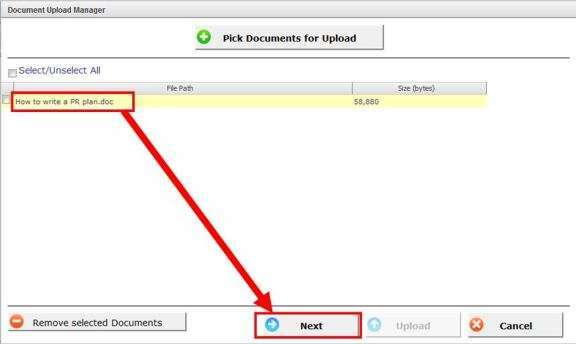 You can upload a single document. 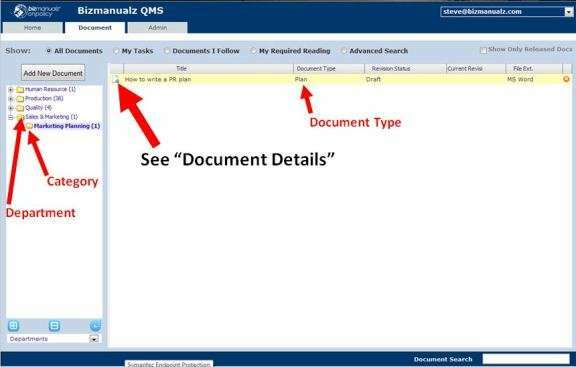 Uploading multiple documents at one time is discussed below. Next, a “Select Files for Upload” box appears (figure 3). There, you have the option of entering the name and location of the file in the white box OR if you’re like me, you’ll click on the “Browse…” button. When you click on “Browse…”, you get a Windows-style “File Upload” box (figure 4). When you’ve located the file you want to upload, click once on the name, then on the “Open” button (or double-click on the filename). 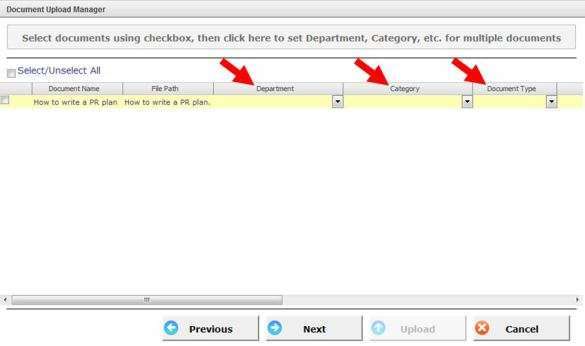 OnPolicy returns you to the “Select Files for Upload” box, now showing the name of the file (figure 5). 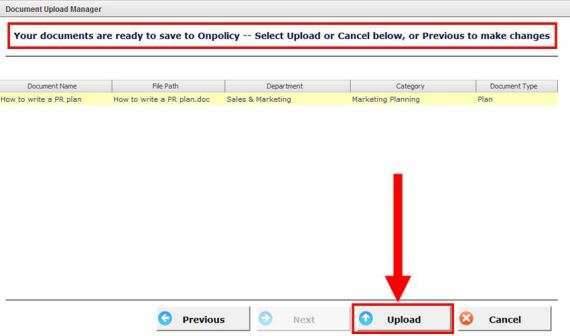 Upload button to load the file(s) you selected into OnPolicy. Click on “Upload” to begin the upload process. Cancel the upload process (click on the “Cancel” button). Click on the drop-down arrow next to each box (figure 7) to select from a predetermined list of Departments, Categories, and Document Types. 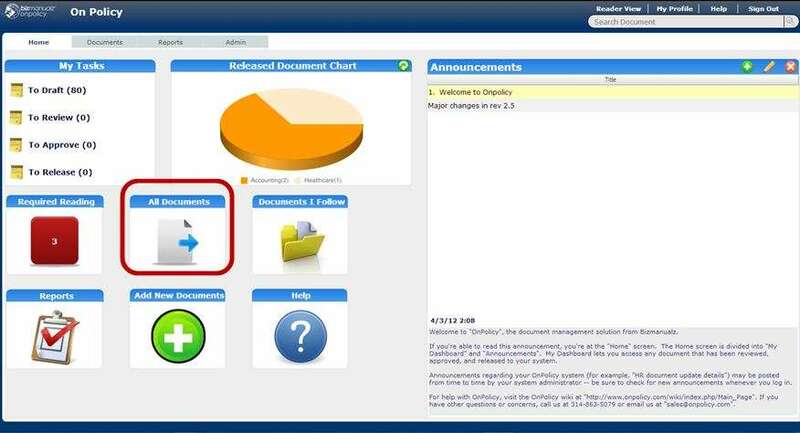 When you’ve selected a department, category, and document type, click on the “Next” button at the bottom of the Manager. 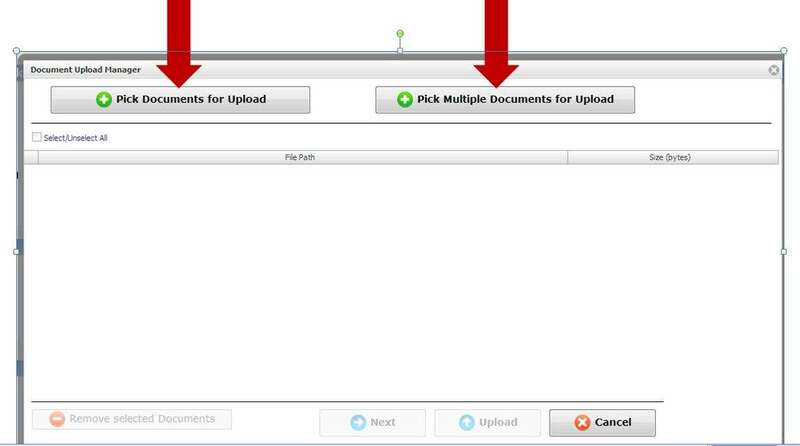 If the upload is successful, OnPolicy gives you this simple message (figure 9). Click on the “Close” button. Your uploaded document is now in the OnPolicy system. You need to add just a few details before the document is ready for the Work Flow process. To do so, click on the icon to the left of the document name (figure 10). Work Flow Permissions, or roles, such as “Reviewers”. To help users find your document, your Description should have keywords, or metatags, that users are likely to use as “search terms”. 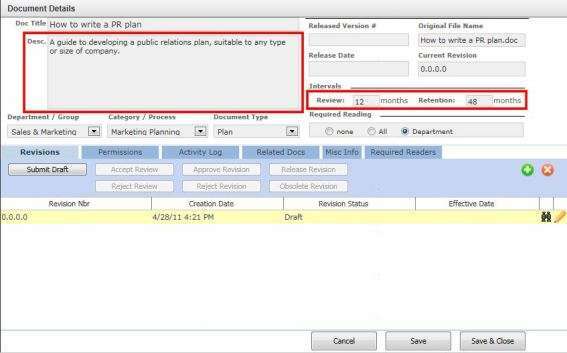 For review and retention intervals, what’s your organization’s policy? Should you review documents every six months? Once a year? That determines what number you enter in the Review Interval box. Likewise, what’s your company’s policy with respect to document storage? How long do you want/need to hold onto your documents? What standards or regulations apply? Fill in the Retention Interval accordingly. Once you’ve addressed these issues (figure 12), it’s time to set document Permissions. 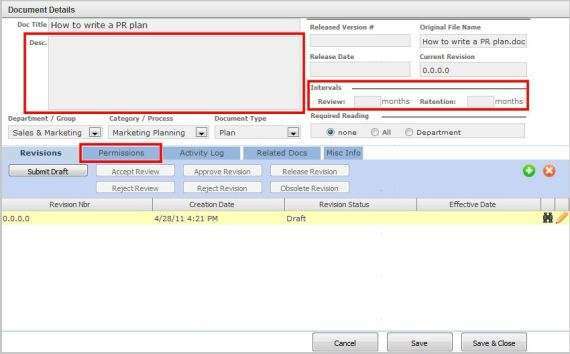 For OnPolicy’s Work Flow process to function, Permissions (or Roles) have to be assigned. 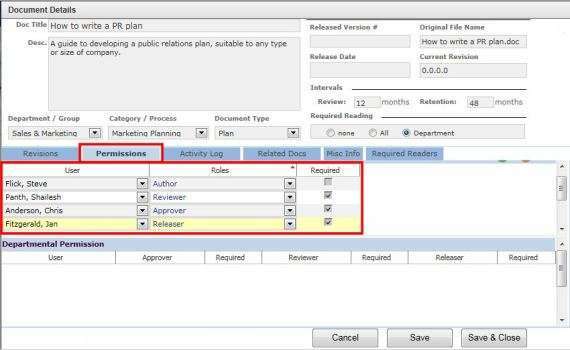 When you click on the “Permissions tab”, you can assign roles for that document (figure 13).